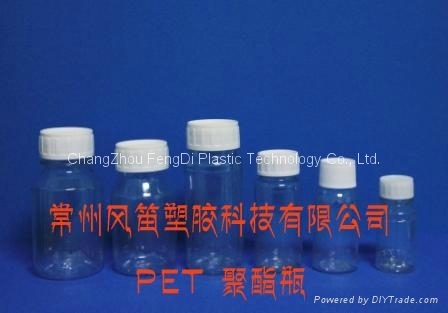 PET plastic or polyethylene terephthalate, is the most common type of polyester. PET was discovered and patented in England in 1941. Most fizzy drinks and other beverages in bottles are made from PET plastic. PET plastic is used to make many common household items like medicine jars,peanut butter jars and cosmetic jars. Up to 100% of a PET package can be made from recycled PET and the material can be recycled again and again. Injection blow molding is used for the Production of hollow objects in large quantities. The main applications are bottles,jars and other containers. The injection blow molding (IBM) process produces billions of plastic containers each year. Ranging in size from 1 ml to 250 ml,these containers meet exacting standards of consistent weight,volume and tolerance,and are popular around the world for a myriad of applications from pharmaceuticals to toiletries to automotive to household use.